With gilt. 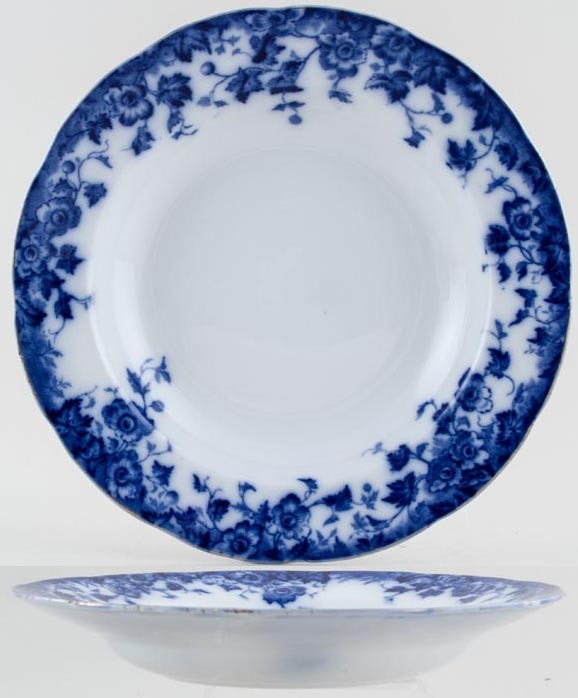 Fabulous large rimmed soup plate in this gorgeous floral flow blue pattern. Backstamp: Rd No 236650, semi-porcelain B. Gilt is very worn and there is a little surface scratching and occasional minor blemish.